Before the video’s release footage emerged of a student receiving a $50k scholarship. It must have been difficult keeping the theme for ‘God’s Plan’ a secret but it worked because most people thought that this act was a one off for the student. But later on other news emerged of Drake’s kind acts. Now we know it was all done for the music video. 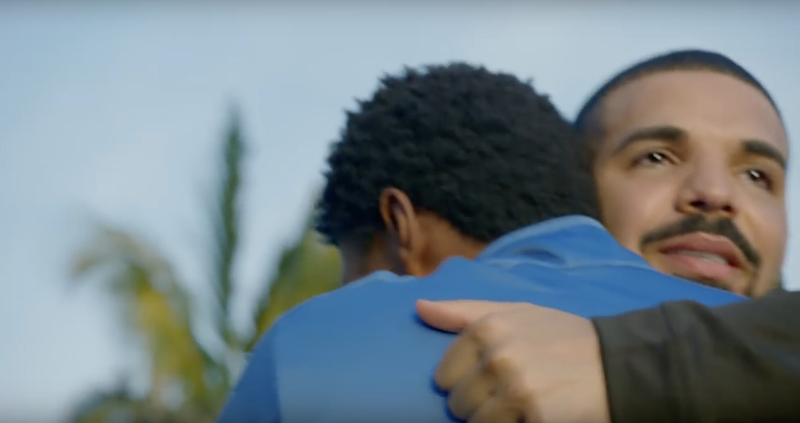 The video documents Drake performing his previously reported good deeds: paying for people’s groceries, donating to a women’s shelter, taking folks shopping, and more. 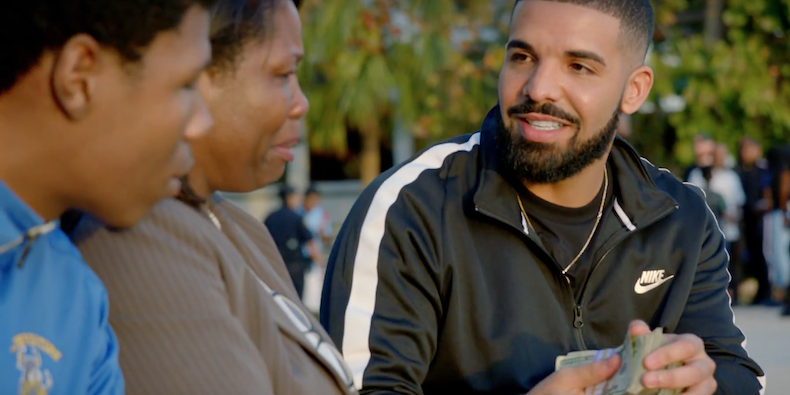 At the end, Drake says, “We’re nothing without our mothers. Gotta make sure you take care of your mom, too, no matter what you do. It’s all we got. Trust me. That’s my world.” Watch below.